This article by author Louise Greig passionately addresses the influence of nature on her work. 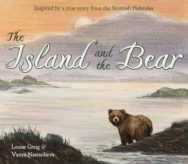 In particular Louise considers how the natural world directly shaped her forthcoming children’s book, The Island And The Bear, set in the Hebrides. She also argues that engaging with nature – both through reading and outdoor exploration – is fundamental for developing children’s understanding of the world and their place in it. I am in love with nature! As a child my bedroom was a health and safety nightmare with a menagerie of animals living under, on and in my bed. Animals were my whole world. Later on, in adulthood, I took to the hills at every opportunity, immersing myself in the rugged landscape of the Cairngorms so evocatively captured in the writings of local writer, Nan Shepherd (author of books including The Living Mountain – you can read an extract here). Poetry and books were my world too. Nature and poetry go hand in hand. Poetry holds a candle up to the things that matter; it lets us examine them more closely and connect with them on an emotional level and come away changed. We are part of nature and it is impossible to separate ourselves from it. Nature writing for children comes from the writer’s love and perception of nature and requires a translation of that experience into a language that allows a child to develop an empathy and affinity with the natural world. For young people I believe this is more important than ever. Increasing urbanisation and declining freedom for children to explore the great outdoors for themselves has resulted in generations of people increasingly insulated from both the beauty and harsh realities of nature. At a time when environmental issues are key to our future it is critical for young people to develop a balanced perspective of the world and their place in it. It also provides much needed emotional balance. Books are a beautiful way to spark a love and curiosity for the natural world in a child’s formative years. I have enjoyed a lifelong, deeply poetic relationship with nature. Life is rhythm. Nature is rhythm. Poetry is rhythm. A good poem has a heartbeat. Verse is a way of telling a story in a beautiful rhythmic way and lends itself perfectly to being read aloud to a small child. The Island and the Bear is a picture book I have written for young children set on a small Hebridean island. The wild beauty of the island and the incongruous arrival of the gentle bear seemed to ask for the story to be written in a poetic way. Verse, along with Vanya Nastanlieva’s strikingly beautiful illustrations, gently pulls us along behind the bear until we gradually come to understand him, and perhaps by doing so, understand ourselves a little better. Written in free verse means that it has rhythm and rhyme but is less rigid in form than strictly metric verse. Island life perhaps more than anywhere is attuned to nature’s rhythms. A small island cannot escape the constant presence of the sea, wind and weather: “The bear tilted his ear to the drum of the wind and the surge of the sea”. Free verse seems a perfect fit for this story – it allows the bear to ramble a little, in keeping with his wildness, whilst keeping a loose rein on him! Through the rhythm of free verse perhaps the bear’s heartbeat thumps just that bit louder. And if he makes friends with a few small children out in the world then that will be the most poetic and beautiful thing of all. 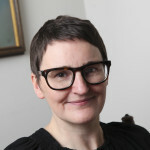 Louise Greig is a poet and author born in Scotland. 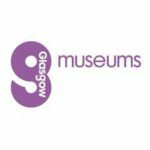 She has won several writing prizes, including the Manchester Writing for Children Competition and the Wigtown Poetry Prize. She is inspired by the Scottish landscape, and the company of animals. She lives in Aberdeen with her rescue greyhound, Smoky. She is the author of The Island and the Bear, to be published on 16 March, by Floris Books under the Picture Kelpies imprint.